It’s 1947 and the war is over, but Juliet Barnard is still tormented by secrets. 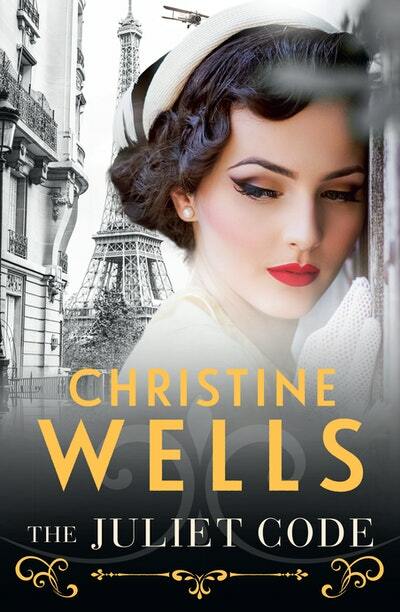 She was a British agent and wireless operator in occupied Paris until her mission went critically wrong. Juliet was caught by the Germans, imprisoned and tortured in a mansion in Paris’s Avenue Foch. Now that she’s home, Juliet can’t – or won’t – relive the horrors that occurred in that place. Nor will she speak about Sturmbannführer Strasser, the manipulative Nazi who held her captive. . . Haunted by the guilt of betrayal, the last thing Juliet wants is to return to Paris. But when Mac, an SAS officer turned Nazi-hunter, demands her help searching for his sister, Denise, she can’t refuse. Denise and Juliet trained together before being dropped behind enemy lines. Unlike Juliet, Denise never made it home. Certain Strasser is the key to discovering what happened to his sister, Mac is determined to find answers – but will the truth destroy Juliet? ‘I don’t remember.’ Or rather, she didn’t want to remember, which was not the same thing. Juliet was quite content to leave gaps unfilled, stones unturned, honour unstained. Thanks most awfully. Guilt. Corrosive, soul-destroying guilt. That’s why she’d agreed to this. An ex-special forces officer and his lab-coated minion prob­ing her brain for details about a Nazi war criminal and his hapless victim. If she could help the Nazi hunter find Strasser and bring him to justice, if she could prove what had happened to Denise . . . But nothing could redress the wrong she’d done. The hypocrisy of the situation nagged like a string of bully beef between the upper molars. If only her war work had been kept out of the papers, she might have lived a lesser lie. A sort of drab median between heroism and cowardice. Did her bit like everyone else. Nothing spectacular. Life goes on. Love The Juliet Code? Subscribe to Read More to find out about similar books.